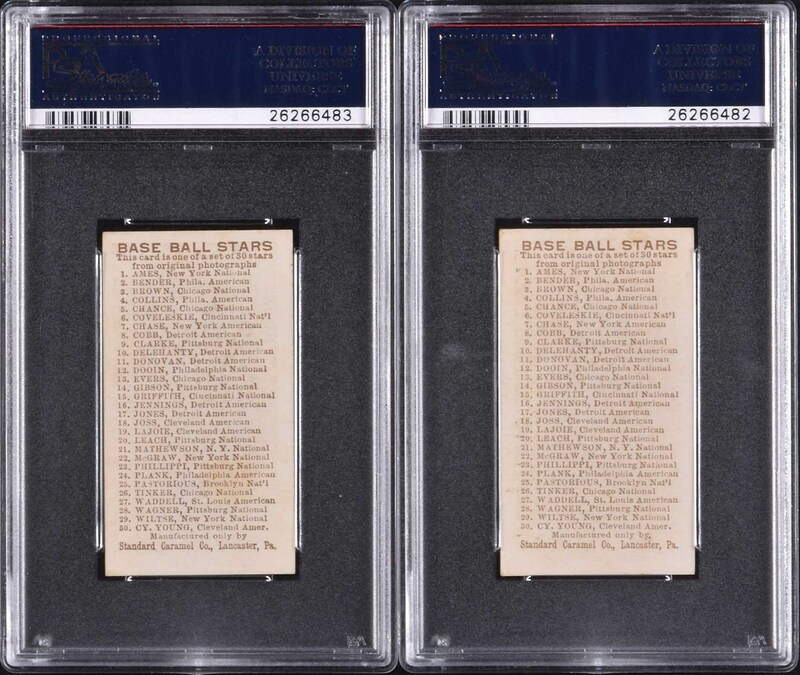 Exceptional high-grade pair of cards from the 1910 E93 Standard Caramel series, each graded EX-MT 6 by PSA. This 30-card set was issued in 1910 by the Standard Caramel Co. of Lancaster, Pennsylvania. This set is closely related to several other candy sets from the era which share the same format and, in many cases, the same player image. Caramel cards are far rarer than most tobacco cards from the same era. This pair consists of Detroit Tigers Jim Delehanty and Wild Bill Donovan (only one example graded higher). Both cards are bright, crisp, and clean, with flawless images, bold colors, and four strong corners. The reverses are entirely clean. Caramel cards, because they were issued with candy, one card per package, did not easily escape damage or hold up well to wear over the years. EX-MT 6 is an outstanding grade for a caramel card! 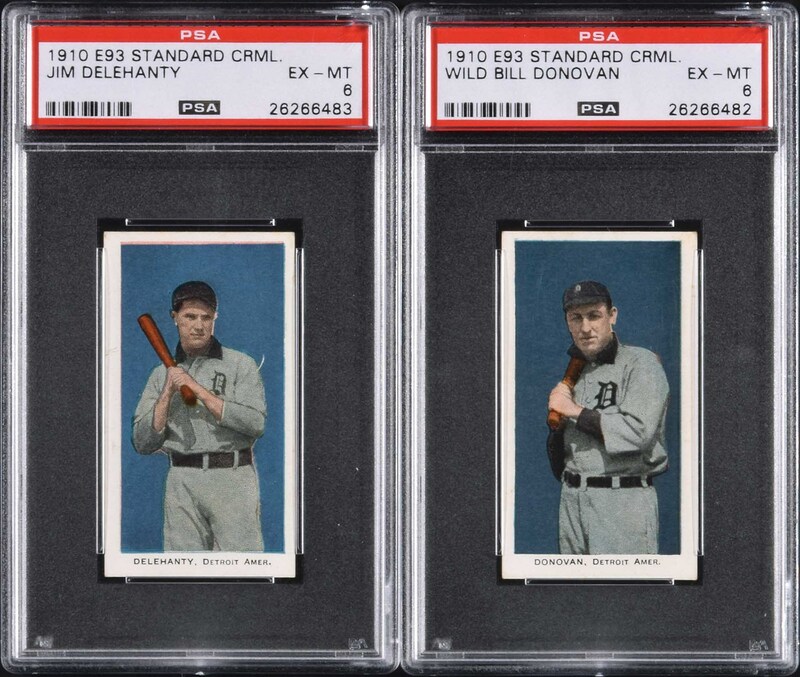 A superb high-grade pair of cards worthy of the finest E93 set or prewar-card collection. Total: 2 cards. Reserve $200. Estimate $400+.